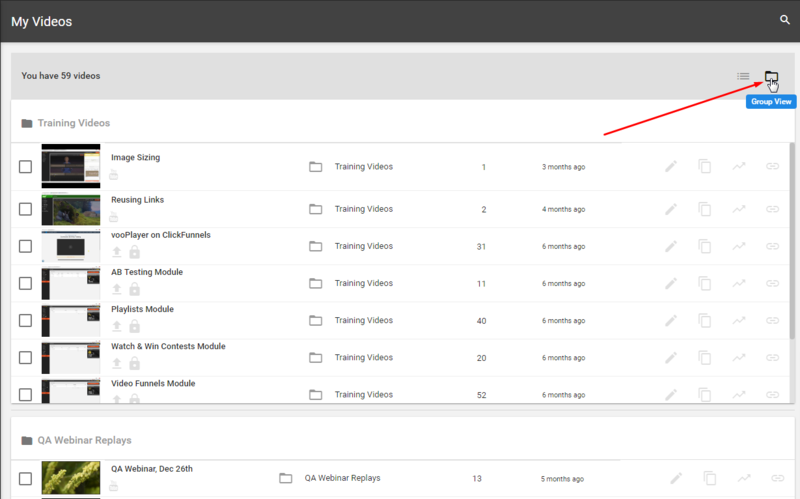 This is the most fundamental module in vooPlayer, it allows you to manage your videos and group them into folders. The List View is opened by default and it will show you all your videos. 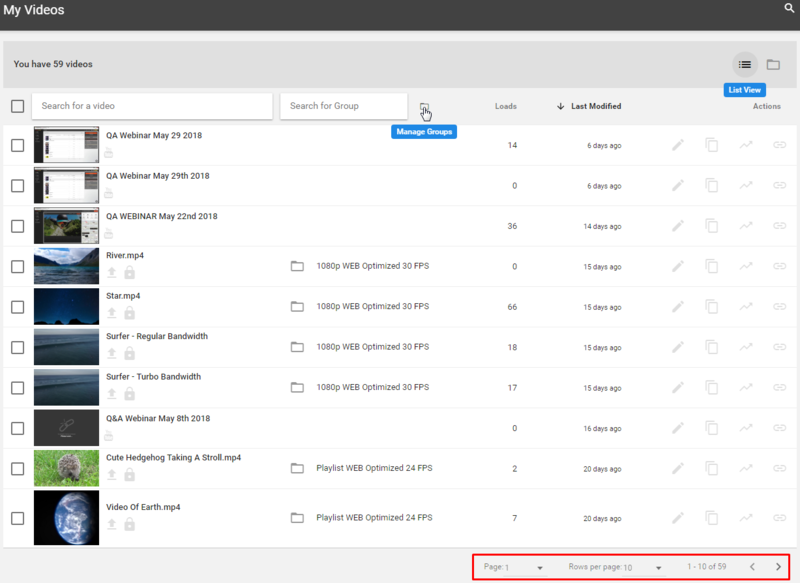 There are Search bars which are very useful if you have large number of videos and the button to Manage Groups (folders). Options at the bottom allow you to change the number of displayed videos in the current view. To add multiple videos to a group, just select desired ones, chose the appropriate group from the drop-down menu and click on GROUP VIDEOS. There is a check box for selecting all your videos (next to the search bar) and even the Recycle Bin icon to delete selected videos. To change your view to Group View, click on the folder icon . These small icons next to your video are indicating it's source. The UP Arrow will point out that this video is uploaded and the small lock icon will indicate that it is protected with encryption. There are also corresponding icons for YouTube and Vimeo to indicate the source of your video.